WeWork Sydney is the most search term among all people who look for a coworking space in Sydney. 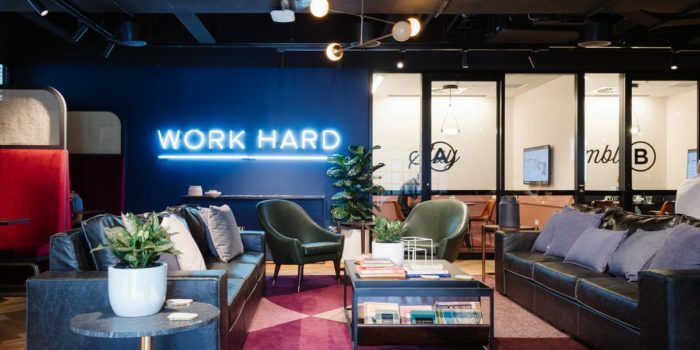 WeWork has been able to make it easy and convenient for coworkers with their well maintained shared offices all over the world and Sydney is an example. 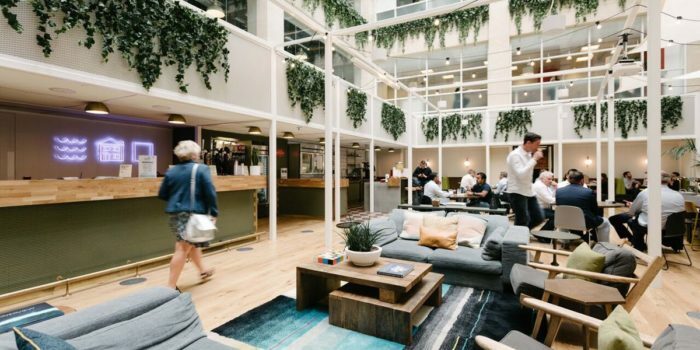 There are a total of 8 WeWork spaces in Sydney and all of them are simply awesome when it comes to design and amenities. 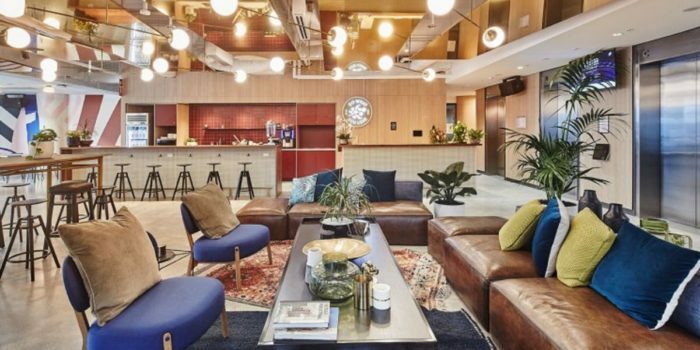 Let us have a look at all 8 WeWork Sydney offices and what they offer. 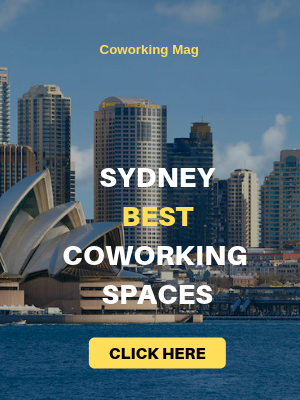 To make it easy for you to find a suitable coworking space, we have also mentioned the membership prices for all of these WeWork offices in Sydney. 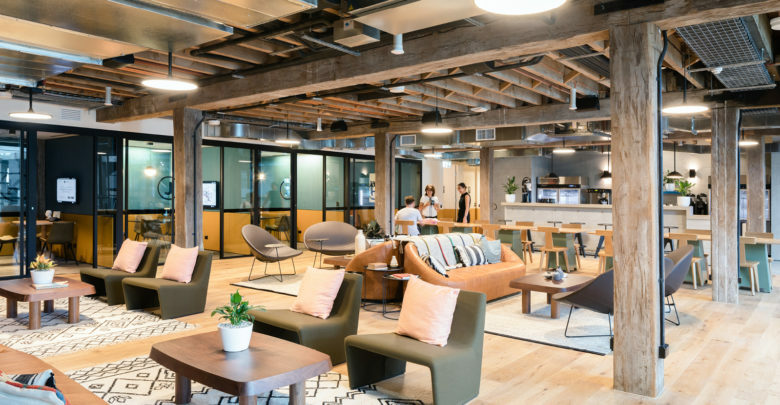 With 8 spaces, WeWork is one of the largest shared office space providers in Sydney. 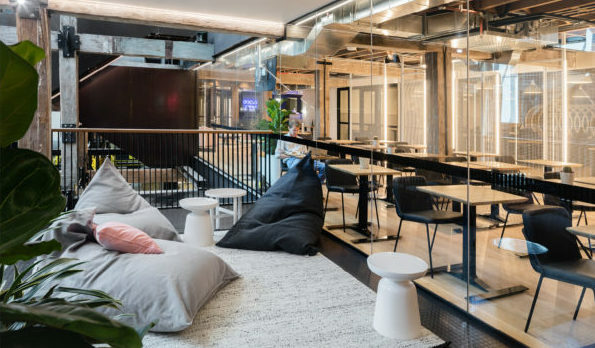 Browse through the list of all 8 spaces managed by WeWork in Sydney. Indifferent of what your profession caters to, if you are business minded, then this is an apt place for you. 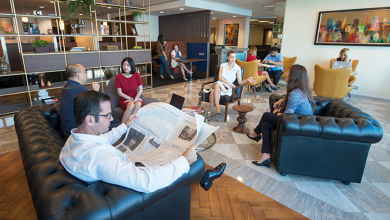 This is located on a 10 storey building and is pet-friendly, brimming with all the modern day facilities like high-speed internet and printing and scanning facilities. The costing of this place is quite feasible since for a private office, you have to pay $1250 per month, for dedicated desks $850 per month and for hot desk $550 per month. Transport facility is good here and the decor and arrangement of the space are very lucrative. Located in a magnanimous skyscraper taking up the entire 26th floor, the term beautiful would be an understatement. 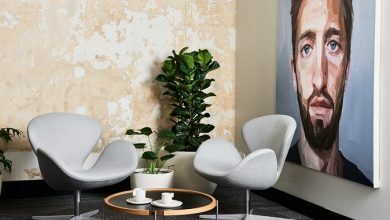 This WeWork Sydney has stylish private office spaces delightful Lounge areas and unique conference rooms. Not only that it also has fantabulous reviews of the Royal Botanic Gardens as well as the harbour so that you can never feel bored at work. Commuting from this place is easy since the train stations and bus stops are nearby. The costing of the private office is $ 2380 per month, for dedicated desks, it costs $850 per month and for hot desks, it costs $550 per month to have unlimited access. 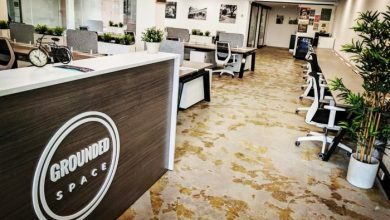 This shared office space is located in a building which once used to be able storage facility but now has been beautifully transformed into a coworking office spot. The evidence of the prior building can be seen in its wooden Timber beams and sturdy foundations. 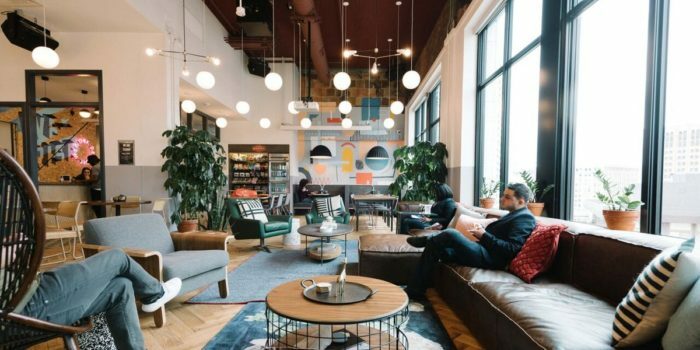 This coworking space by WeWork supports a number of small and large businesses and provides them with all the facilities that are prevalent in an ideal coworking zone. Here one can have free parking, free coffee, a strong community of working professionals, interactive amazing sessions with them and a lot more than you can ever imagine. The rental price of the private office is $ 850 per month, for a dedicated desk it is $550 per month and for renting a hot desk it is $450 per month. Another famous location of WeWork Sydney is on Suxxex Street. This branch is one of the most efficient coworking spaces that you could ever have and caters to the needs of every small and large company along with individual freelancers as well. It is one of the best networking spots where you can connect with a lot of people from diverse professions and have an invocation of creativity inside you. Since this is a place that you could gain access round the clock you can work during unconventional hours without being disturbed. Unlike the other coworking spaces, where you can only have coffee, WeWork Sussex Street also has the facilities of fresh fruit juices and meals so that you can treat yourself every time you are hungry. The rental pricing over here has not been declared yet but if you want to do you can have a quote from them on request. 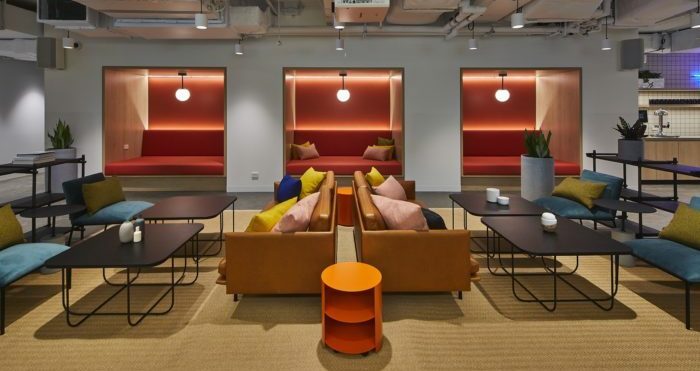 Very colourful and vibrant office space in the heart of Sydney, this WeWork has been recently designed by the best of the Architects. The interior decor has been done in a way so that you can be freshly energized for all day long and there are no loopholes for boredom to set in. The outdoor, as well as the indoor space, is very inviting and the warm nature of the staff will definitely seem lucrative. The best part is that communicating from this place is also very easy. If you want to rent a hot desk, you have to pay $550 per month for unlimited access in the space. 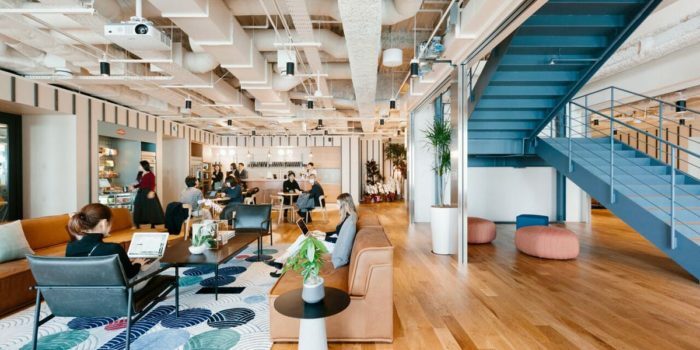 This WeWork Sydney office is located at one of the most premium centres in the city and is a very glamorous addition to the Sydney Skyline. This building is much talked about because it is decorated in a very high profile manner. The building is made of glass and the event space is simply awesome. Costing of this place is a bit high but then the facilities over here are immense. The private offices cost $1220 per month. The dedicated desks cost $920 per month and the hot desks cost $550 per month. Surrounded with lush green ambience, this is one of the best WeWork spaces in Sydney if your priority is to work amongst the greenery. The private offices, as well as the meeting rooms, are decorated beautifully. They have a touch of elegance in the aptest ambience and thus help in creating an amazing work experience. The private office spaces here cost 1150 dollars per month, the dedicated desks cost $950 per month and at last the hot desk cost 550 Dollars per month. 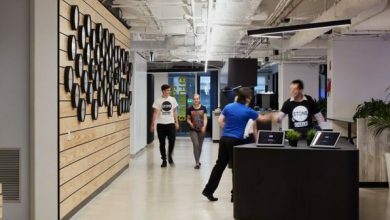 This WeWork Sydney workplace has been supporting many small and large corporations. 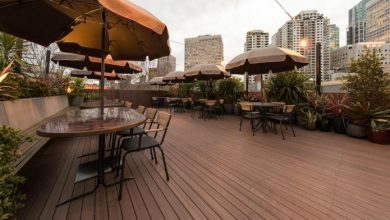 This place is almost full to its capacity and is situated at a stone’s throw distance from the Sydney Opera House. The interiors are beautifully decorated by the most famous interior designers in Sydney. It is close to all the commuting spots and its decor is very vibrant and colourful to brighten up your work mood. The price of the private office place is $1220 per month. For a dedicated desk, it will cost you $920 per month and for a hot desk, it will be $550 per month. One interesting thing about WeWork is that it is becoming quite active in Australi. 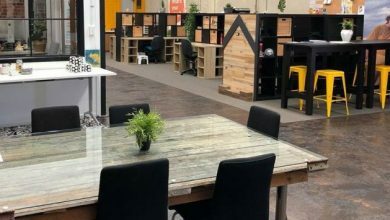 With 8 spaces in Sydney and 5 spaces of WeWork in Melbourne, it is surely one of the largest coworking space providers in these major cities of the sub-continent. we can say that WeWork is beating its competitors in Australia. 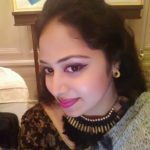 Pritha is a writer, a traveller, a coworker and a digital marketing enthusiast who has lived in over 20 countries. Being an office space enthusiast, she is a consultant for a number of coworking spaces around the globe. You may reach Pritha at hello@coworkingmag.com.